Below you'll find resources to help you navigate the neighborhoods of St. George, Tompkinsville, and Stapleton. Click on the images for information on Attractions, as well as Maps & Guides and a Business Directory. The Empire Outlets is New York City's first and only outlet shopping destination, and the centerpiece of attractions in St. George. Opening in Spring 2019. St. George Theatre is a historic performing arts venue that was opened in 1929 and has recently been revived. Since its revival, the theatre has booked many high-profile events. Postcards is a memorial sculpture honoring the over 270 Staten Islanders who passed away in the World Trade Center attacks. Staten Island Borough Hall opened in 1906 and is today a designated New York City Landmark that still serves its original function as the main civic office of the borough. The Richmond County Bank Ballpark serves as the home to the Staten Island Yankees: the Short-Season Minor League affiliate of the New York Yankees. 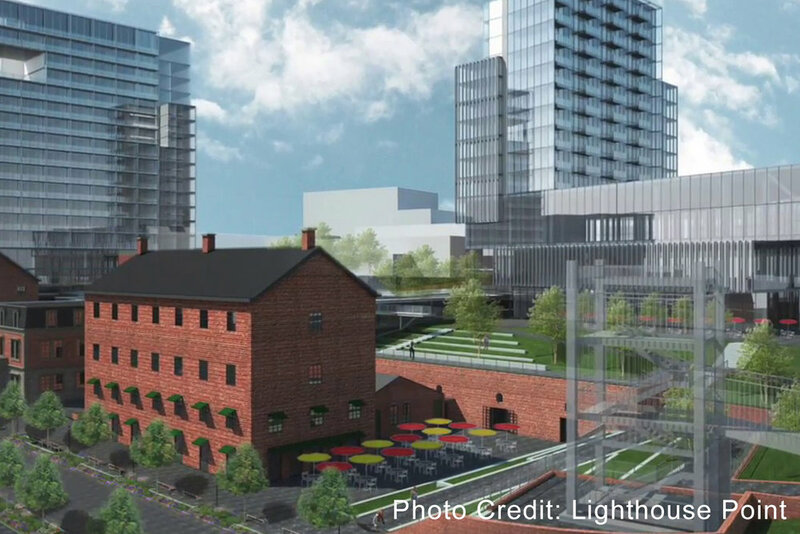 Lighthouse Point is a mixed-use promenade that will soon offer commercial, residential, and hospitality amenities. It is slated to open in 2019. Located just a short walk from the ferry in St. George, the National Lighthouse Museum is dedicated to preserving the history of lighthouses and their keepers. Formerly a home to aging sailors, Snug Harbor is a historic landmark and culturally significant collection of parkland, museums, and 19th century architecture. The Noble Maritime Collection is a cultural museum displaying works of the noted marine artist John A. Noble as well as his restored houseboat studio. Founded in 1881, the Staten Island Museum is the oldest cultural institution in the borough. Its natural sciences, fine arts, and historical collections offer a unique experience. Located at Snug Harbor, the Staten Island Children's Museum promotes a hands-on and interactive approach in its exhibits in order to cultivate child learning. The CPG is a non-profit that promotes the creative and innovative aspects of photography to the greater New York community, and especially Staten Island. Art on the Terrace is an art gallery of the Staten Island Creative Community, which aims to provide a support vehicle for established and emerging creatives. Tompkinsville Park, built in the 1930s, serves as the heart of the neighborhood. Fountains, benches, and public art make for a relaxing plaza for those resting or passing through. 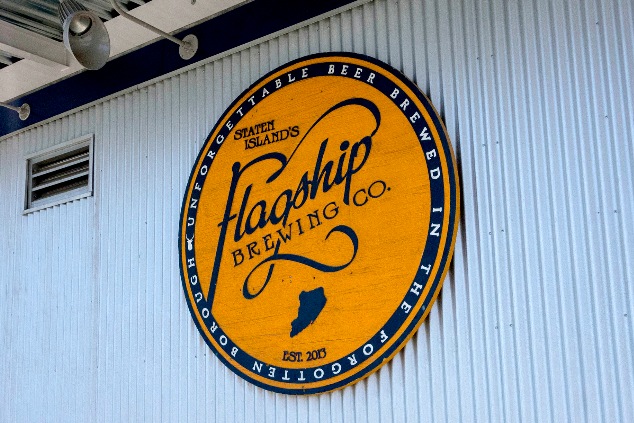 Flagship Brewery is a leading Staten Island brewery located in Tompkinsville. In addition to supplying beer throughout the region, it offers a wide selection onsite in its taproom. New York City's only indoor skate park, 5050 is located in Stapleton and welcomes skateboarders, bikers, and inline skaters to its winding ramps. The Staten Island MakerSpace is a non-profit community workshop that offers builders, artists, entrepreneurs and more the tools needed to bring their ideas to life. ArtSpace @ Staten Island Arts is a project and meeting space for local and international artists. Its exhibits emphasize place-based and community engagement pieces. Tappen Park, located in the heart of Stapleton, is a former village center and one of the oldest parks in the borough. It is named after World War I veteran James Tappen. Opened in 2017, the Sri Lankan Art & Cultural Museum was developed in order to share the vibrant arts and cultural scene of Sri Lanka, and is the first of its kind in the U.S. This nautical-themed museum is dedicated to the preservation of marine electronic equipment and local maritime history. This is the home of Alice Austen, one of America's earliest and most prolific female photographers, and now a museum and national historic landmark that is open to the public. One of the oldest military forts in the nation, Fort Wadsworth is now a 226-acre public park providing a unique historical experience and beautiful views of New York Harbor. Honoring two great men in Italian history, this museum promotes the understanding of Italian-American heritage through cultural, artistic, and educational programs. Follow the Bay Street corridor through the St. George, Tompkinsville, and Stapleton neighborhoods to explore all the food, arts, culture, and shopping options we have to offer. Check out our new District Map for a guide to some of New York City's best kept secrets and hidden gems. Shooting Stars Business Mgmt. Tax Prep.& Fin'l. Svces. The Downtown Staten Island Web Portal is funded by the NYC Department of Small Business Services and managed by the Staten Island Chamber of Commerce Foundation through the Neighborhood 360° program. The Neighborhood 360° Program was created by SBS to identify, develop, and launch commercial revitalization projects in partnership with local stakeholders.